Robert is an AV Preeminent rated attorney, with a wide range of experience in many areas of the law. Robert excels in wrongful death, personal injury, worker's compensation, local government law, commercial litigation and alternative dispute resolution. Since commencing his practice in 1992 in Georgia and 1993 in Tennessee, Robert has handled countless complex matters, representing both plaintiffs and defendants in difficult and contentious litigation in State and Federal Courts. Due to his diverse practice, Robert has developed a unique understanding of how to manage controversies and how to achieve the right result for his clients. In 2001, Robert was named Whitfield County Attorney and has held that position since. In that capacity Robert represents the County Board of Commissioners and all elected officials, and provides legal advice to many local agencies. In 2002, the United States District Court for the Northern District of Georgia appointed Robert as Liaison Counsel in the nationwide Tri State Crematory Litigation. He was tasked with coordinating nearly 1,500 claimants through the years-long federal litigation. Robert's steady hand, genuine care for the victims and tough strategy led to a stunning multi-million dollar result against the nearly fifty funeral home defendants involved in the class action. In 2007, Robert was again tasked with leadership in a multi-district litigation, regarding tainted Peter Pan peanut butter. In Re: ConAgra Peanut Butter litigation consisted of thousands of injured plaintiffs and approximately 1500 cases. Robert negotiated hundreds of settlements for the victims in the case and was commended by the appointing court for his diligence in the matter. In addition to his complex litigation experience, Robert has handled a number of wrongful death cases and catastrophic personal injury cases to conclusion over his career, including a jury verdict in 1997 that was among the largest personal injury verdicts ever awarded in Whitfield County at the time. Given his extensive experience, even-handed demeanor, and ability to get along with all sides, Robert has built a successful mediation practice in North Georgia and the surrounding areas. Over the last 20 years, Robert has successfully mediated a wide range of cases, including personal injury cases, estate matters, commercial disputes, condemnation matters and domestic relation cases. Robert is particularly proud of his track record of resolving complicated and complex matters brought to him for mediation. In addition to his mediation practice, Robert has been appointed on a number of occasions as an arbitrator or special master, both by Courts and by private attorneys. In addition to his professional experience, Robert has given freely of his time in the local community and to organizations promoting the profession. 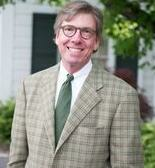 Robert has served for the past seventeen years on the Whitfield Healthcare Foundation, supporting the local hospital. For the past five years, he has led the organization as Chairman, completing a $6.2 million dollar capital campaign. He presently serves as Chairman of the Signature Gifts Committee of the Foundation as it embarks on an $8 million dollar campaign for a new regional cancer institute. Robert also served as Chairman for the Greater Dalton Chamber of Commerce for the past two years, leading that thousand member organization and chairing the search committee for a new Chamber President in 2015. Robert has been equally active in his church, First Presbyterian Church of Dalton. He is an elder and recently served as Chairman of the Building Committee. He also serves the larger church on the Synod of the South Atlantic Permanent Judicial Council and he will serve the Cherokee Presbytery in 2017 as Moderator (or Chairman) for all the churches in North Georgia. Robert has been elected three times to represent his local Bar as a member of the State of Georgia Board of Bar Governors and has served in that position since 2011. In 2016 he was named by the judge of the Federal District of Court to serve on the United States Magistrate Committee. Robert graduated from Davidson College in 1989 and continued his education at the University of Georgia School of Law where he graduated with honors in 1992. He is licensed to practice law in Georgia and Tennessee, and is admitted to all appellate courts in Georgia and Tennessee, along with Federal Courts in both states, including the Eleventh Circuit Court of Appeals.